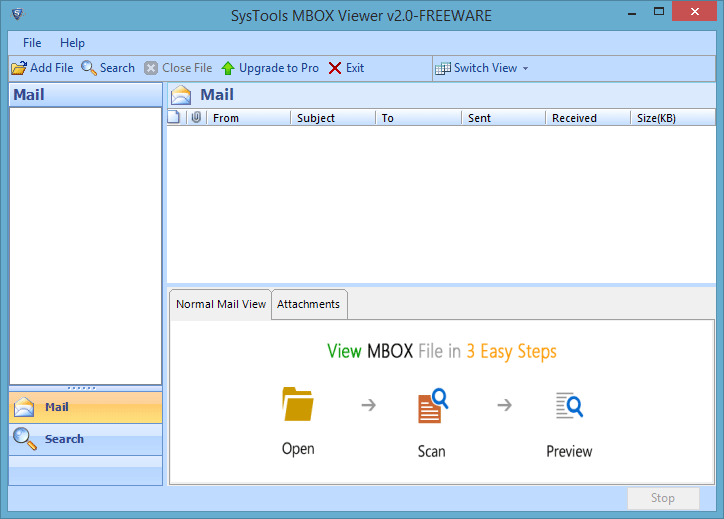 When it is the freeware software solution selected to view MBOX files then there is no possibilities of troubles to come across in working with the tool. Make it highly reliable for user to assure with the easiness of solution provided for their query of how can I view MBOX files, here the guide on how the software proceeds with the process. Go to Start menu » All Programs » MBOX Viewer » MBOX Viewer. First screen of the software to view MBOX files will be displayed and there will be option to Add Files given in it. 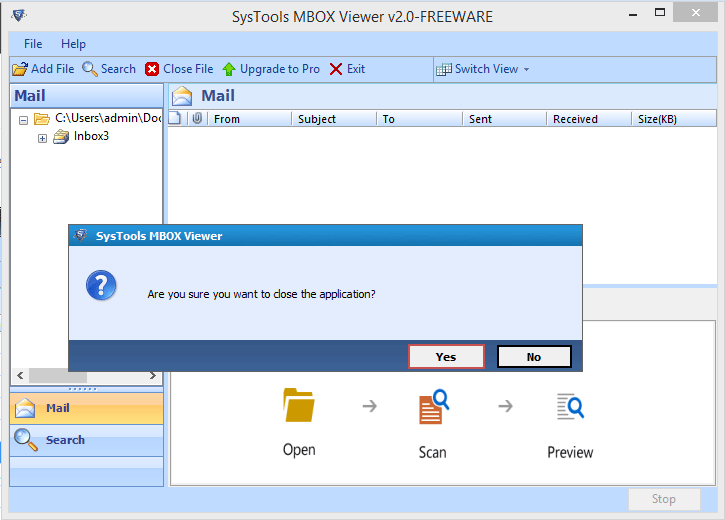 Once the MBOX file is selected the file path will be displayed and option to Process file will be available. 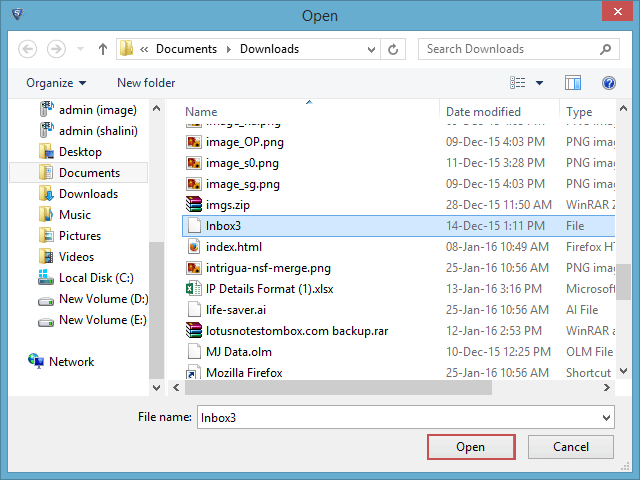 Select the option after which the file gets loaded. 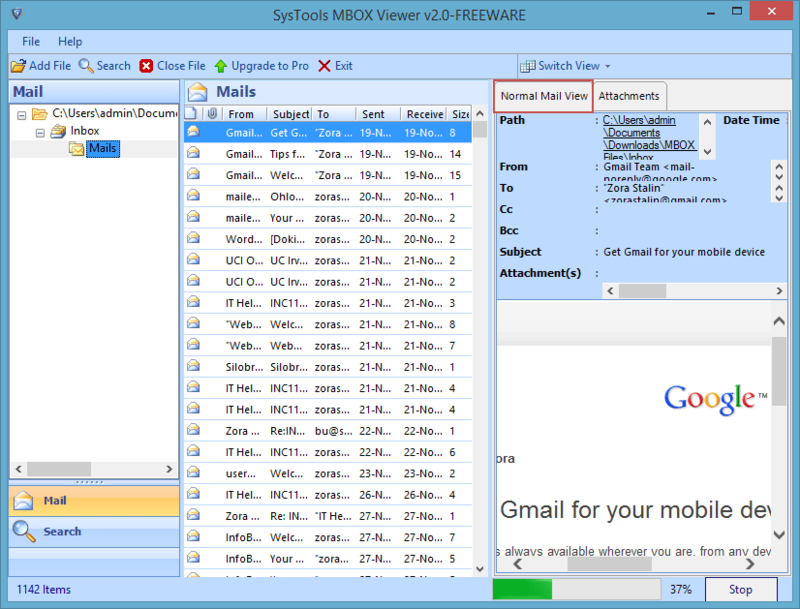 Selecting the folder in the panel will display the emails in it and the detail view of each email can be viewed in normal view section. The pattern of view can be changed with the option switch view. If user want then they can extract the attachment with the MBOX file and can save them to the desired location they want. 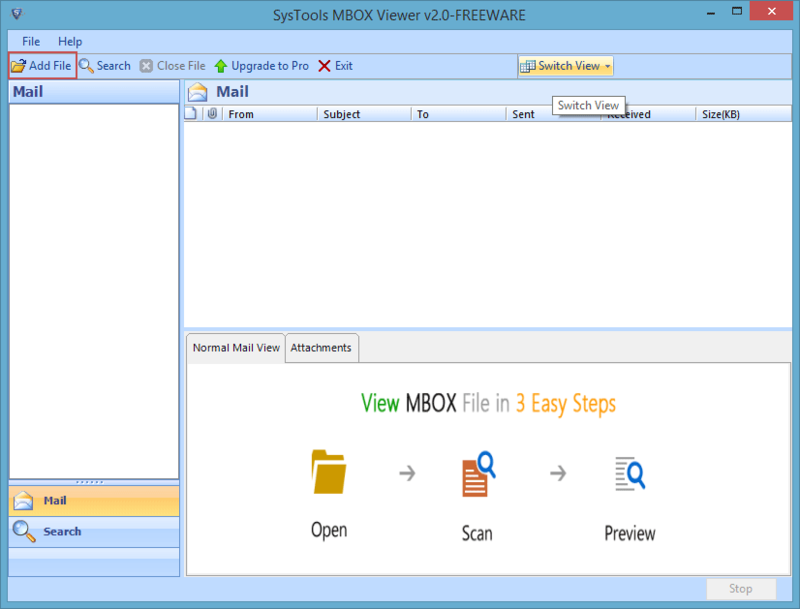 Once users are able to view content of MBOX file they selected; they can conclude the working with Thunderbird MBOX viewer by closing and quitting the application accepting the warning message option YES.